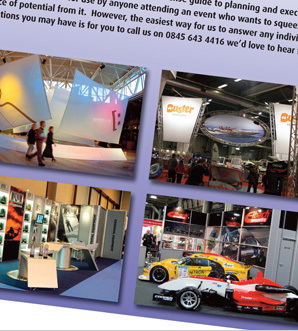 Here at the Cannell Group we have been working in and around the exhibition world for 20 years and, as you would expect, we've picked up a thing or two. The following guide provides a no-nonsense guide to planning and executing a successful exhibition for use by anyone attending an event who wants to squeeze every ounce of potential from it. However, the easiest way for us to answer any individual questions you may have is for you to call us on +44(0)845 643 4416, we'd love to hear from you.